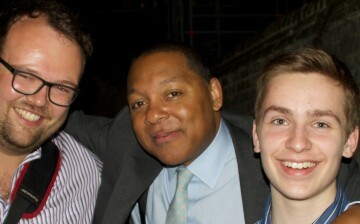 On Saturday, 21st June I was delighted that Wynton Marsalis brought the Lincoln Center Jazz Orchestra to the Cambridge Corn Exchange. It was a particularly special date for me as it was exactly fifteen years ago to the day since I performed on the same stage with a Blues Brothers band. I had been in touch with LCJO saxophone players Sherman Irby and Victor Goines to arrange a backstage meeting, but they both escaped to The Eagle for some fish’n’chips! 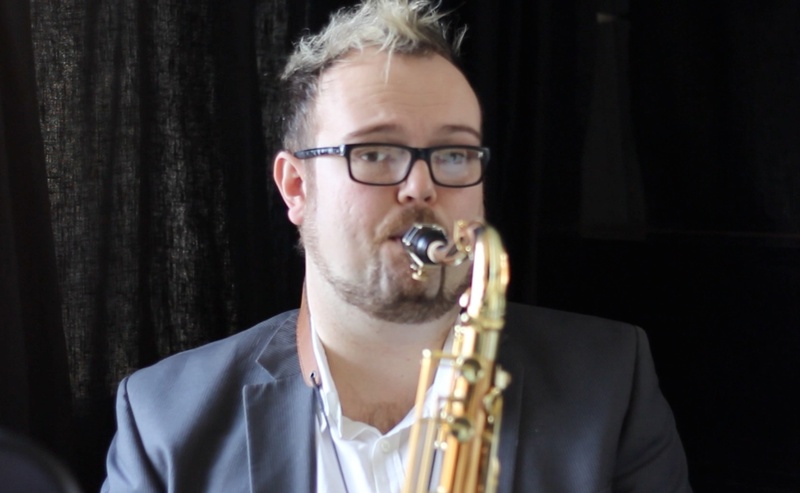 I met up with them later on, but it was a real thrill to introduce some of my students – in particular 14-year-old Rob Burton, who, maybe one day, will be playing with LCJO – to … Wynton Marsalis. Some of the great pearls of wisdom that Wynton shared with us are outlined below. Don’t just learn the notes, learn why those notes were played. The avant-garde is what youngsters should learn. They need to appreciate the freedom that is found in the music of Ornette Coleman. If you want to be a musician, be like a stockbroker. Spread your portfolio as widely as you can: be an arranger, clarinet player, teacher, composer – but work hard at all of them. Vocabulary is everything – if you want to be a better musician, learn the vocabulary to express it. Spend time each day listening to music – really. It was such a great thrill to have these guys in Cambridge. I’m in touch with a few interested parties about getting a Cambridge International Jazz Festival and I’d love to welcome Wynton and the Jazz at the Lincoln Center Orchestra back to this town.